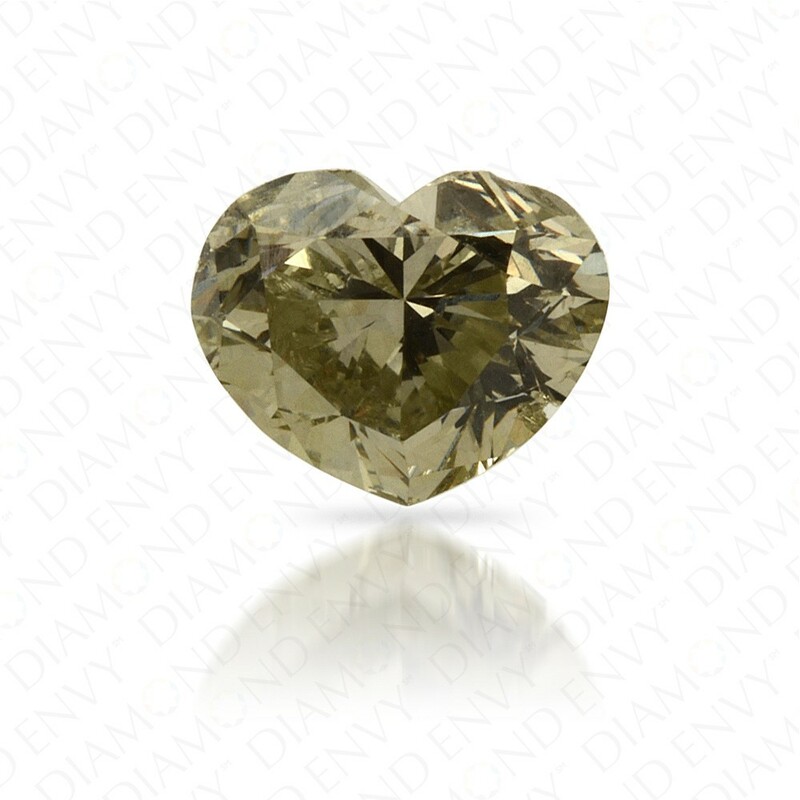 This is an extremely rare natural green diamond with gray and yellow overtones. Looks larger than it actually is. This heart shape features beautiful luster and shine. Good clarity and eye-clean green diamond. GIA-certified. 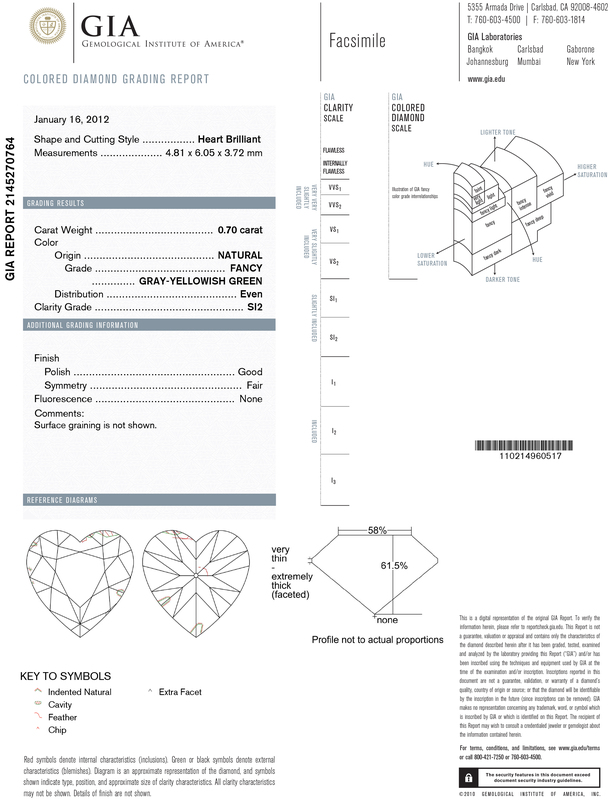 Learn more about natural fancy green diamonds by reading our expert guide.